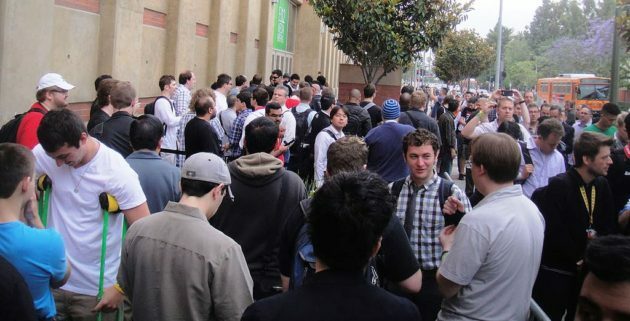 The term Doorbuster has long been associated with the Black Friday shopping holiday, which officially begins in less than 80-hours. 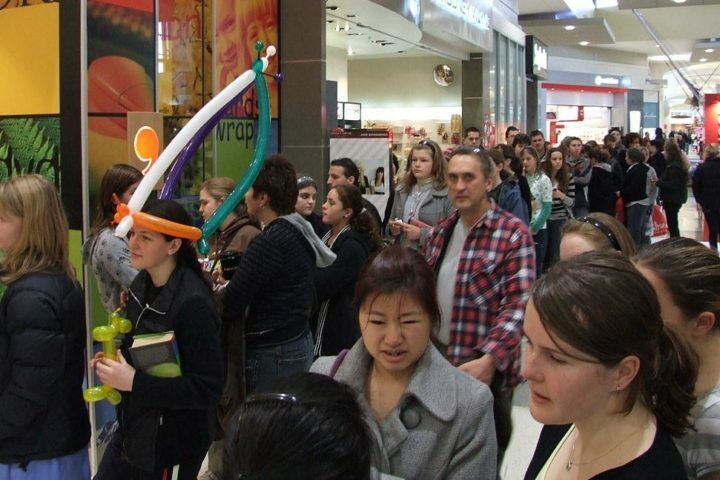 Numerous retailers feature special Doorbusters for Black Friday, which is considered by many to be the busiest and biggest shopping days of the year. 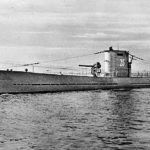 Interestingly, the term dates back to a White Sale advertisement for retailer JC Penney in the Tuscaloosa, Alabama News on January 13, 1949. Other retailers across the nation followed suit using the Doorbuster term in their local newspaper advertisements. The term today, as it did 67 years ago, metaphorically represents the concept that crowds waiting outside for the sale will be breaking down for doors to get first dibs of the advertised deals. 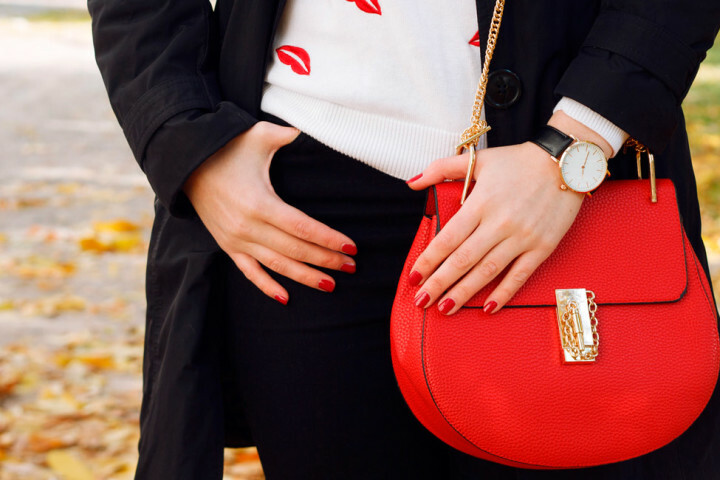 You’ll certainly want to take advantage of the Pre-Black Friday Invicta Doorbusters taking place at World of Watches. 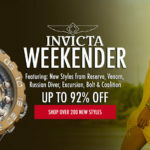 Many of today’s most sought-after Invicta watches are featured in the promotion, at jaw-dropping savings for a limited-time only. The Invicta Subaqua Reserve Chronograph is an extraordinary look and value. This racing inspired, Swiss-made men’s watch makes a bold statement on the wrist with a robust 52mm diameter, 18mm thick case in satin-finished stainless steel, presented on a rugged black silicone strap with distinctive tire tread detail. The stationary tachymeter bezel in black ion plated stainless steel with screened markers surrounds the blue dial with three sub-dials, luminous skeleton hands and luminous cabochon dot hour markers. Features include an automatic date calendar at the 4 o’clock hour, 1/10th of a second, small-second and 30-minute countdown timers. Premium Swiss-made quartz movement inside assure you of precise time-keeping accuracy. 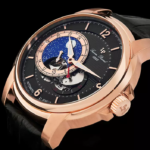 Additional features include a locking screw-down crown and case back provide water-resistance to 500 meters or 1,650 feet and a scratch resistant Flame Fusion crystal above the dial. 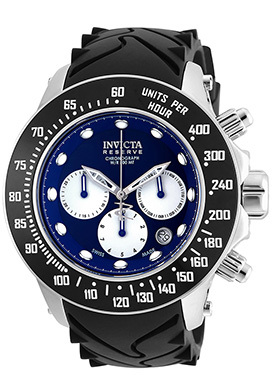 The Invicta Russian Diver Chronograph for men is an outstanding choice and an unbeatable buy for less than $100. This premium crafted timepiece features the generously oversized case in 18K yellow gold-plate, highly polished to a mirror-bright glow. The crocodile-textured blue leather strap adds to the impressive design. The signature left-facing crown has a protective cover with an attached chain. The stationary black ion-plated stainless bezel has a satiny brushed finish and distinctive coin-edge rim. The multi-layered sunray blue dial has three sub-dials, luminous baton hands and Arabic numeral 12/24 hour markers. Features include an automatic date calendar between the 4 and 5 o’clock hours, small-second, 60-minute and 24-hour countdown timers. Features include quality quartz movement inside and water-resistance to 100 meters or 330 feet. Invicta Russian Diver men’s chronograph is 54mm in diameter and 20mm thick. 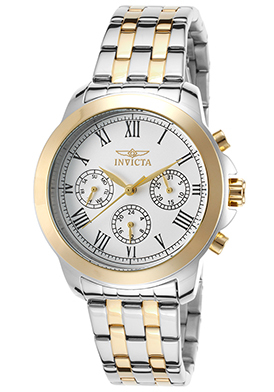 The Invicta Specialty Chronograph in two-tone stainless steel is a sleek and stylish selection for women. This classic contemporary multi-function watch features the contoured round stainless steel case in a lustrous polished finish, presented on the multi-link bracelet in brushed stainless steel with polished 18K yellow gold-plated accent links. The 18K yellow gold plated bezel surrounds the white dial with three sub-dials, polished yellow gold tone sword hands and black Roman numeral hour markers. Features include date, day-of-the-week and 24-hour windows. 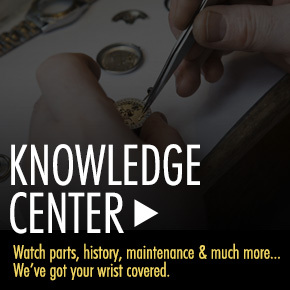 Premium Swiss-made quartz movement inside assure you precise time-keeping accuracy. Additional features include a scratch resistant Flame-Fusion crystal above the dial, water-resistance to 100 meters or 330 feet and a push-button clasp on the bracelet for added security and convenience. 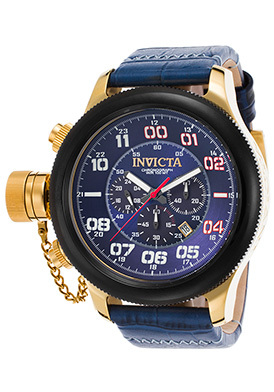 Invicta Specialty women’s Chronograph is 37mm in diameter and 11mm. 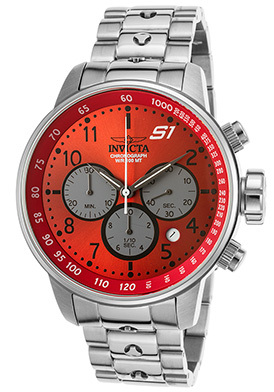 The Invicta S1 Rally Chronograph for men is certain to put your wrist on the fast track. This high-performance men’s watch is virile and masculine with an amply proportioned, polished stainless steel case presented on a stout triple-link bracelet in brushed and polished stainless steel. The metallic sunray red dial shines with a tachymeter outer dial, three silvery-gray colored subdials, luminous hands and raised black Arabic numeral hour markers. Features include an automatic date window between the 4 and 5 o’clock hours, 1/10th of a second, 60-second and 30-minute countdown timers. Additional features include quality quartz movement inside and water-resistance to 100 meters or 330 feet. The Invicta S1 Rally men’s Chronograph is 48mm in diameter and 14mm thick. Crowd scene image courtesy of Wiki Commons. One comment on Invicta Pre-Holiday Doorbusters Are Here!